Murder zombies till your arms fall off. When the inevitable Zombie Apocalypse does happen, it probably won't be resolved as positively as it does in most games. Our beleaguered groups of survivors won't venture into solitude with hardened resolve and a host of new skills. Nah. Everybody's going to be torn apart by the unstoppable hordes, screaming in terror. Or, if Zombie Kill of the Week - Reborn is any indication, we'll be holed up in a compound with three chums, wasting everything past its expiration date until we inevitably join the rotting ranks. Kill of the Week is an arena based survival fest where players look to bankroll their way up the ranks by slaughtering as many zombies as possible. Somehow, gatting zombies generates money you can use to pump up your survivors with 25 unlockable weapons, both ranged and melee. You also throw down mad cash to crack open doors or unlock new locations on the map. Check out the trailer and see if it's your kinda deal. This bite-sized game comes to us courtesy of Finnish Developer Still Running Games, who bills itself as "a small indie group making games and fullfill[sic] their dreams," which is a sentiment I can totally get behind. 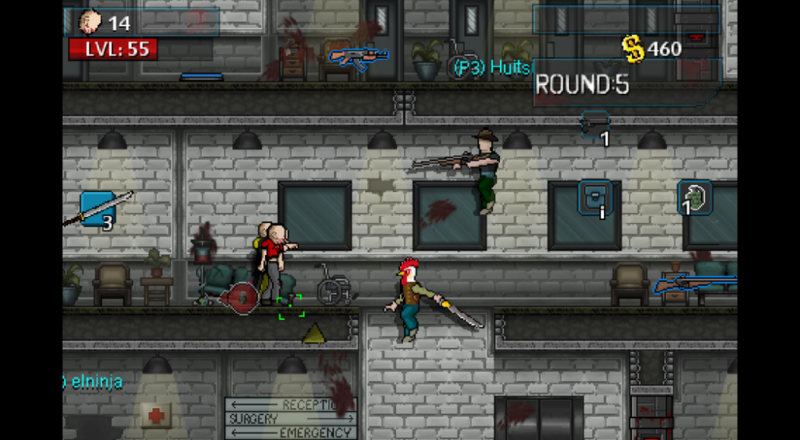 Hop on over to Steam if you're interested in slapping down $6.99 for this indie zombie-shooter. You can even pick up a four pack for a slight discount and spread the infected love to three allies with a grudge against the undead. Page created in 0.7816 seconds.